Manufactured in Allemagne from 1936 until 1937. This specimen (variant I) entirely sheathed of black and whose decorations are painted in black characterizes by the big thickness of the front block. It is noticed that the combination Novar lens and Klio shutter is similar to that of Ikoflex 850/16 “Coffee Can” manufactured from 1934 to 1937. 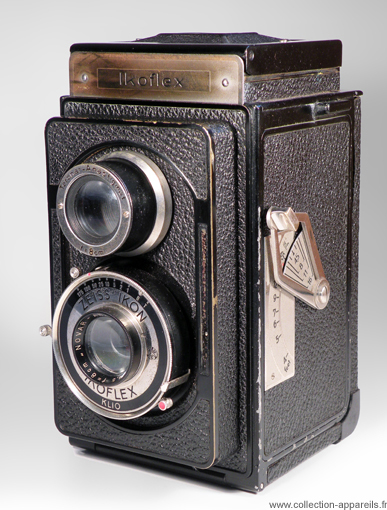 As it is equipped with the lever of focusing, and not of a button, it is known that it dates to 1936 or 1937. 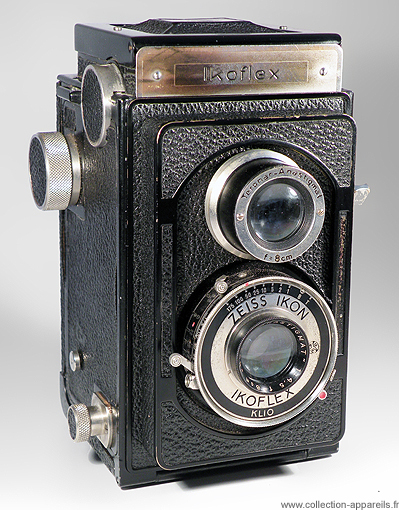 Its other characteristics were evoked at the time of the presentation of the Ikoflex II Lcr variant. This model has the distances from focusing indicated in feet.